Started in 2006, Transmission is an event created by United Music Events who win a growing success in the international dance scene. Organized in the massive O² Arena in Prague, the 10th edition of Transmission will open his doors in a bit more than two weeks. EDM sauce had the opportunity to ask some questions to Anco van der Kolk, Founder and CEO of United Music, the promoter of Transmission and he looks after the production of Transmission. Transmission has been known to be one of the best shows in Europe and has been held in Prague for awhile now. Do you ever plan to expand Transmission elsewhere? Yes Transmission is ready to go abroad. How things look like now the first foreign edition will be held in 2014 and we are talking to more promoters in various countries to bring Transmission there as well. The main concern is to find the right partner who understands what Transmission stands for and understands how it should be organized. Another issue is to find the right venue that suits to the needs of Transmission. 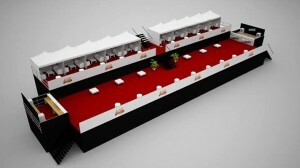 To present the original set up of the stage requires a venue with a lot of space especially in height available. In Prague’s o2 arena we have a stage with the dimensions of 45 meter wide and 23 meter high, so in total over 1000m2. Venues available to build a stage with such dimensions are limited so we have designed by the look of it an identical set up but with adjusted dimensions to be able to build the set up in more arenas. First we are focusing in Europe and in the future maybe overseas. We will take care ourselves for the productions so this will be on the same level everywhere. What goes into your talent buying for this event and how do you choose your lineup? We select the line-up as follows: We start making a list of DJs from which we think they fit with the concept and know they can perform well in a big arena. This year it was quite complicated with the line-up as some DJs we had listed were already taken for Stereosonic in Australia, so we had to deal with this fact. This year we focussed to have more the so called trance DJs but we wanted to offer a wide and divers line-up that satisfies and offers something to everyone. We think we succeeded and during the night visitors will be able to hear some progressive trance, trance, uplifting trance, bigroom sound, and some trouse… Besides that we always try to find a mix of the well established names combined with big names but also want to give space to upcoming talent. Six out of the seven performing artists will have their debut on Transmission. 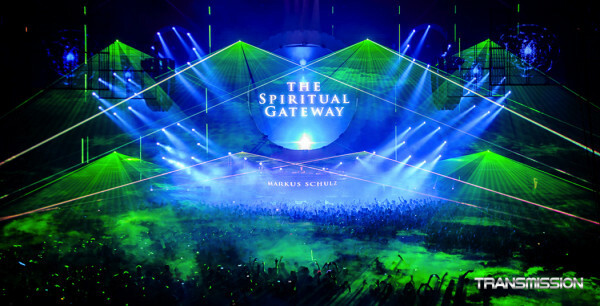 The headliner Markus Schulz performed already 7 out of 9 Transmission editions and can be seen as the unofficial resident of the event, he is a great ambassador for us and we are really honered to have him on our side. For the first time in history we will have an MC hosting Transmission, he is not there to interupt the songs but to improve the atmosphere even more. Another adjustement this edition is that the well known Transmix – a 15/20 minutes pre recorded mix of trance classics full of lasers, lights and special effects and by many visitors seen as one of the highlights of the night- is for the first time made by a producer and DJ, The Thrillseekers and not by ourselves. For sure making a good line-up is not as easy as many people might think and Its not that you make a list of the DJs you want and then you can book them easily. You are depending on their availability and also of course you have to see if the conditions fit the budget you have set. What's included in VIP this year? VIP tickets give access to the Hotpepers VIP deck (with a size of 40 x 13 meter) which is located opposit the main stage and offers a great view on the show. You have the VIP bars nearby, you will get a welcome drink, the softdrinks on the menu at the VIP deck are included and free of charge (except Red Bull), it has seprate fast lane entrance, its own cloakroom section free of charge, and it has its own reserved toilet group also nearby the VIP deck. The Hot Peppers VIP deck has two levels and on the upper part there are the VIP Boxes (all sold out) for which a special wristband is needed. The last 40 VIP tickets are now in sale. Besides that there are Golden tickets and those gives you access to the luxury clubfloor of the o2 arena which offers a maximum on comfort and luxury. The drinks and food (as listed on the club floor menu) is included and free of charge. For people not familiar with the area, where do you recommend staying in Prague? Eating? Any other activities to do there? One thing that blows me away is your lighting, laser and sound production efforts. How did you choose your lighting for this year? What kind of gear is involved this year (Technical side)? Thanks a lot for your compliment! 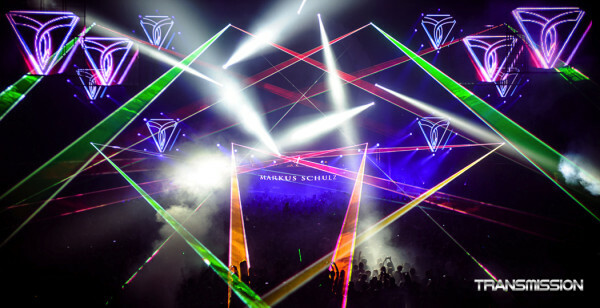 The light and laser show for Transmission is indeed well known and huge but every edition we add some more lights and lasers in the production. What will be special about this edition is we haven’t not just add a bit more lights but we have almost doubled compared to the last edition the amount of Mac Vipers which are one of the best and most powerful lights on the market and we have almost tripled the amount of Clay Paky Sharpy’s which are also amazing lights. Besides those lights we have much more other lights included but the Mac Vipers and the Clay Paky Sharpy’s will play a key role this edition concerning the lights. Besides more heavy light equipment we also added more lasers as were in the last edition. We are really excited about to see how this all turns out in reality. However you can hang a lot of lights but it’s still no guarantee it will be amazing because you should also be able extract the most out of those lights. One of the most important things to have the best result is the preparation time available. Therefore it’s really important to prepare really well to have a smooth running production to be sure there is time enough left to have everything in the right position and adjusted on the right way. Everything we check in advance through simulating programs to have an idea how it will look like and everything is prepared based on that but basically the Friday and Saturday morning and afternoon before the event takes place are really important for the end result. How many watts of sound do you have set up for this year? That depends how you look at it, one thing is the amount of Watt for the speakers another thing is the amount of Watt for the amplifiers which needs to be double the amount of the Watt for the speakers to be able to use full potential of the speakers. People always think or rate that good sound is made by a high number of Watt but that is not the case. 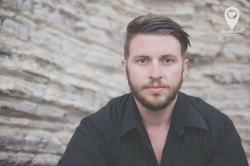 The most important thing for us is to deliver a great quality sound through out the whole arena. To achive this we specially bring over a huge Funktion One system from the UK which is under the guidance from Audio Plus and the Funktion one factory through Tony Andrews and/or John Newsham. This year we are even more exited as Funktion One will bring the brand new system, the Funktion One Vero system. The Vero system is a new designed Funktion One sound system that just comes out of the beta test phase and it is the first time ever it will be set up in an arena in this huge configuration. Vero means in Latin ‘in truth’ and Funktion One suppliers from all over the world are flying in to Prague to hear and experience the new sound system for the first time. As said Audio Plus together with Tony Andrews and John Newsham from Funktion One will set up the sound system. The efforts the Funktion One guys are putting into delivering the best possible sound is really amazing and the acoustics of the o2 arena are for such a big arena is also very good which helps a lot too. The Funktion One guys are setting up the sound system and adjust it to the needs of the o2 arena, then when we have about 80% of the people in the arena, which normally is the case within 1 hour of the start of the event, the sound system is adjusted once more by them to the current situation because the humidity has changed which has also influence on the sound quality. We really do all we can to deliver the best possible sound. However the one thing we can’t control and is essential for the end result what sound quality you will hear is most influenced and depending on the music files the DJ’s play and how they send it out through the mixer. If the music file or signal is send out disturbed or has a bad quality, so will be the sound quality that comes out of it no matter what sound system you use. So in answer on your question we would like to say, forget about the amount watts but the sound system will be set up on the best possible way to be able deliver a crystal clear pure sound throughout the whole venue. If the DJ plays a good quality file and sends out the signal on the right way, we think we deliver the best sound experience possible you can have at a dance event. What do you think makes this event so special apart from the other events out there? When we started with Transmission in 2006 we had the aim to bring a high level and exclusive dance event to the Czech Republic that could easily compete with events organized in Western Europe. 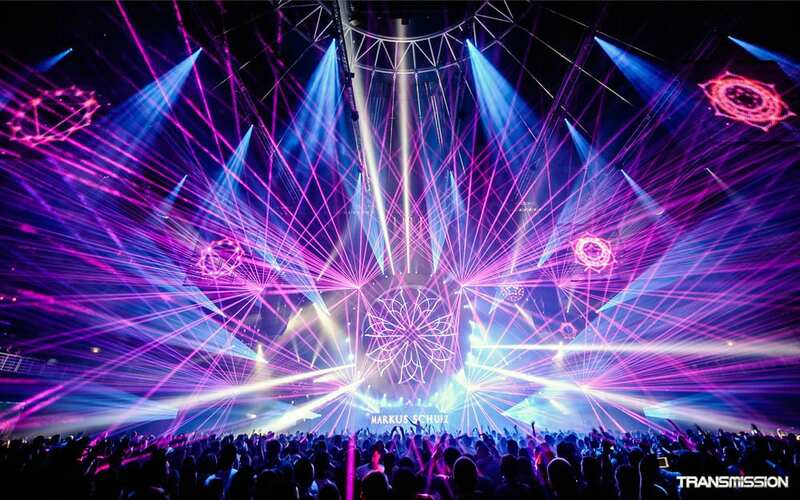 Transmission distinguishes it self compared to most other regular dance events by its exclusive theme related story line which guides the visitors on a journey through out the whole night and by its spectacular laser, light show and sound system. Tailor made ‘show movies’ and visuals are created by Vision Impossible (Dutch Award winning VJ team) which are representing the story line and theme and are used to introduce the artists. For these ‘Show Movies’ the lights, lasers and special effects (fireworks, co2, flames, i.e.) will be pre-programmed in advance and run on time-code to be able to deliver the most spectacular experience. Besides introducing the artists each intro movie leads to a new sub category of the theme. Each sub category is supported with it’s own special created visuals, and will have its own specific main light color selection. 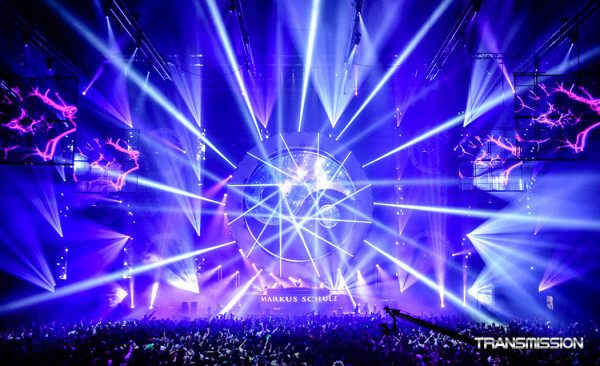 This in combination with the huge light, laser and sound production Transmission offers creates an exceptional experience that’s sets Transmission apart from other events out there. It is great when all pieces fall together and when the ideas become reality and you experience everything live. People come to Transmission of course also for the music and to have a great time with friends, but many people come for the total experience Transmission offers.